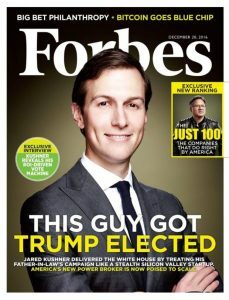 Two years into his administration and President Kushner is once again in the news, a little. Trump ordered his chief of staff at the time John Kelly to grant Kushner security clearance despite warnings from intelligence officials and White House lawyers, the New York Times reported on Thursday. According to NBC News, two White House security specialists rejected last month Kushner’s application for a top-secret clearance after a FBI background check raised concerns about potential foreign influence on him, but they were overruled by their supervisor, according to two sources familiar with the matter. By dismissing Tillerson, Trump has demonstrated that “blood is thicker than water” and that he will protect his family at great political cost, even if Kushner continues to generate negative media coverage. 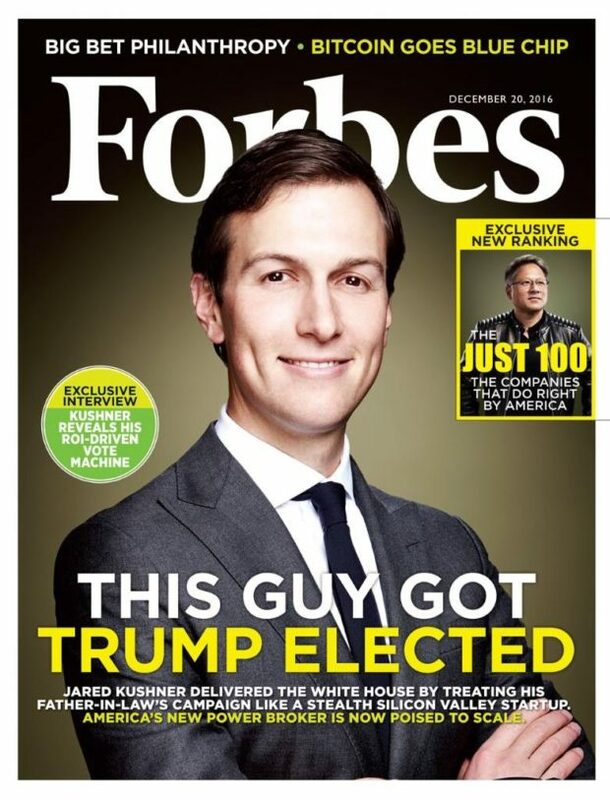 Kushner is the embodiment of foreign influence in the White House. Negative jew influence, driving an agenda completely divorced from what Trump told his thirsty supporters they’d be getting. It’s a big, controversial story, and understandably it is taking time for the jewsmedia to settle on a way to jewsplain it. So far they’ve mostly just ignored Kushner, compensating by loudly and quite consciously shifting attention and blame to Russia instead. Likewise, and for the same reason, they’ve been screeching continuously about WHITE supremacism and WHITE nationalism, as jew-first governments across the West are literally making it illegal to oppose jewing. I’m glad I took the time to write at least a little about the White-washing of Trump, and the petty intrigues which so characterize his 6000000% jew-first administration. 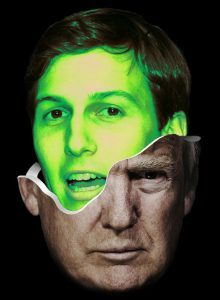 At this point there’s not much more that needs to be said about the kikeservative-in-chief’s latest ever more jewy antics than, what’s President Kushner up to now? 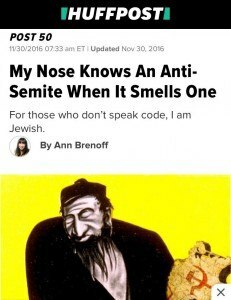 “Anti-semitism” is defined by jews. In practice the term denotes anything one or more jews don’t like, as jews. They have difficultly acknowledging this, but it’s not because they can’t agree on what they don’t like. The difficultly arises from what they do agree on, which is that “anti-semitism” is entirely a goyim malfunction and has nothing whatsoever to do with jews jewing. This assertion of theirs is both essential to and contradicted by the way they acutally brandish the term, like a weapon, using their imagined victimhood to justify their aggression, to excuse whatever harm jewing causes non-jews. Kadar is an excellent example. Jews screeched and jews profited, non-jews weren’t involved except as subordinates. The “anti-semitism” was nothing more than a supposed failure of the kikeservative-in-chief to service the jews when and how they expected. The only question jews ask is how far they can ride their loxism. Left-leaning groups — on campus and on the outside — worry that labeling even hostile political rhetoric as hate speech puts Jews on the wrong side of the free speech debate. They say that a tool that has only recently been applied to anti-Semitic activity on campus — Title VI of the Civil Rights Act — takes too broad a brush in defining anti-Semitism and ends up blaming legitimate critics of Israel of creating an “unsafe” environment for Jewish students. Two of the most active groups in promoting the use of Title VI — the Zionist Organization of America and the Lawfare Project — are on the right. The jews define “hate” too, primarily as a pretext to restrict what anyone else can say or do about what they don’t like. The cry-out-in-pain-as-you-strike nature of jew aggression becomes obvious whenever they try to formulate a precise meaning for “anti-semitism”, and especially when they read it into ostensibly secular liberal law. The pantomime of left-jew versus right-jew serves as a thin disguise for the fact that Title VI is simultaneously promoted and exploited by jews. The upshot is that the supposed anti-discrimination law is interpreted to discriminate jews from Whites. Organized jewry wants Whites trying to be White criminalized as “hate”, while at the same time they demand their jewing be specifically privileged and protected. The courts, the schools, the corporations, all dance to jewry’s tune. On the political front, the jews kick and the kikeservatives lick. White voters, deracinated and demoralized, too forgiving and forgetful, get only disingenuous dog-whistling. The jews, hyper-ethnocentric and ever-moralizing, never forgiving or forgeting, swiftly swarm to pillory any figurehead who steps over one of their many semitically correct lines. Charlottesville demonstrated that Whites cannot freely assemble and speak, as Whites, in public. The swift and hysterical reaction from the local, state, and federal governments, officially condemning Whites because “anti-semitism”, demonstrated that Whites and jews are poltical opposites. Decades of phoney judicial dancing around race and privilege have suddenly been supplanted by explicit executive and legislative proclamations that the regime is officially anti-White out of deference to jews. The ongoing chutzpathic attempt to invert this reality, to portray the kikeservative-in-chief as a tool of “anti-semites” rather than jews, merely reflects how thoroughly jewed the media and current political system are. Trump viciously counter-attacks anyone who attacks him. Everyone but the jews. When the jews kick, Trump licks. Their toxic “communal narrative”, their hoax culture, their intersectional jewing, their left-vs-right dissembling, their constant screeching and gesticulating. No, none of this is new, only more blatant. To jewsplain their virulent collective behavior jews pretend it’s more complicated than it actually is, moaning about the divisiveness they themselves manufacture. Behind it all is the same old game – two jews, three opinions how to jew. That Miller operated largely out of view was by design. Multiple sources in the Trump White House tell The Daily Beast that he is acutely aware of how other senior Trump aides—including former chief strategist Steve Bannon, another immigration hardliner—have been banished to the doghouse by President Trump for assuming too large a public profile. Miller worries about being portrayed as the true master of Trump’s immigration policy—a “President Miller” capable of vetoing any “deal” the actual president might strike with Democratic leaders—and has operated more carefully and less ostentatiously than someone like Bannon. Perfectly typical jew behavior. Miller hasn’t been hounded with the same loxist gusto as Steve “GOY BYE” Bannon or Sebastian “NAAAAZI IN OUR WHITEHOUSE” Gorka. Rather than admit Miller is treated differently because he’s a jew, the pretense here instead is that he just cleverly avoids attention. In reality, the use of the “President X” meme to goad Trump into firing someone has been driven exclusively by the jewsmedia, which has conspicuously passed on using it against Miller or the gaggle of influential jews who supposedly fear Trump. Again, the reality is that the jews around Trump are taunted primarily by their own tribemates, who want them to more emphatically speak and act for the benefit of jews, against Whites. And unlike the string of non-jews whose heads jews have demanded and Trump has consequently dumped, the jews whom jews screech at have a tendency to retain their positions of power and influence. 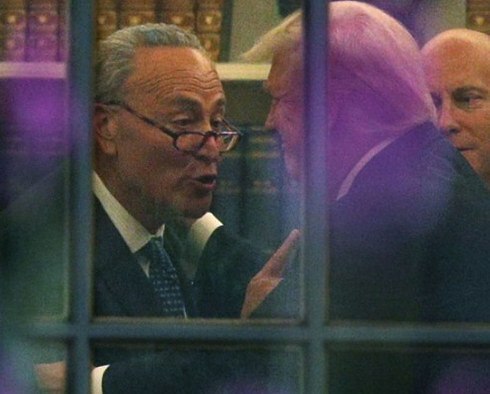 The irony in all this is that while the screeching about “President White Supremacist” grows ever louder, the true master is President Jew, and the kikeservative-in-chief is totally OK with that. Reagan, Thatcher, Schwartzenegger. Now Trump. More demonized by the jewsmedia, because his supporters are White. More supported by Whites, because dog whistling. The most “White supremacist” administration ever, more kikeservative than any before. Like cuckoos, non-Whites screech. And like mindless reed warblers, Whites follow their cuckoo-loving misleader, because he makes the cuckoos cry. This is parasitism, no paradox. Like generations of immigrants before, including millions of Jewish parents and grandparents, the parents of these kids have made enormous sacrifices, not for themselves, but in the hope that their children would have a chance at a real future. This moment should feel scary, disturbing and eerily familiar to all Jewish Americans. HIAS is the global Jewish organization that protects refugees. We stand for a world in which refugees find welcome, safety and freedom. Guided by our Jewish values and history, we bring more than 135 years of expertise to our work with refugees. But our work is just one piece of the larger culture of equality and welcome we strive to create together with our supporters in the American Jewish community. Threats to the DACA program are not only threats to immigrants, but to justice, fairness and the longstanding values of our country. This country’s history of accepting refugees and immigrants has offered generations of Jewish Americans the opportunity to recognize our full human potential and become part of the fabric of America. 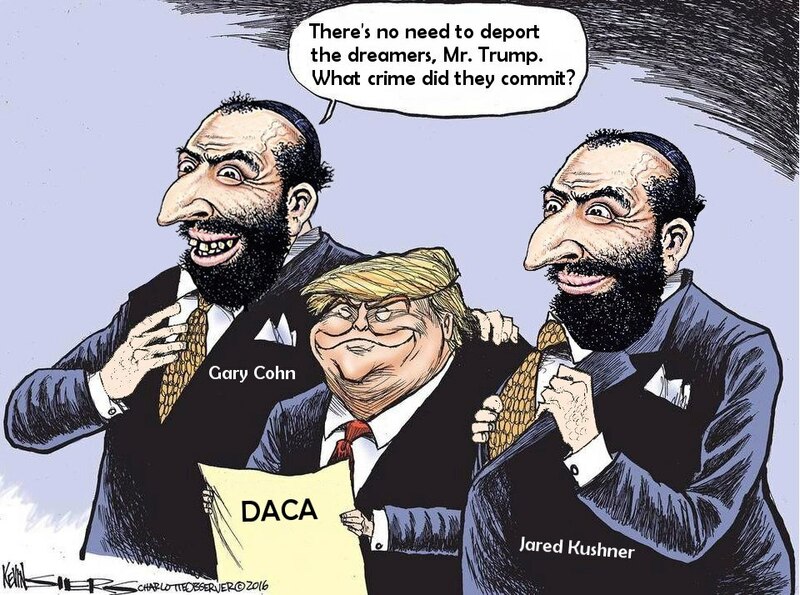 If jews actually believed their lies they’d be filling the jew state with these “immigrants” and “refugees” – instead they treat the wretched refuse like bioweapons, and deliberately aim them at the Whitest parts of dar-al-goyim. Stephen Miller’s family came from my dad’s village, in Belarus. Immigration is why Steve and I are both alive; now it’s his job to help kill the program protecting young immigrants to the U.S. Helping to kill DACA and curb immigration are why Steve is a disgrace to the memory of that town, to the memory of what the Nazis did there to the people who couldn’t escape and immigrate to the United States. Durbin, in an interview with Reuters, described Kushner as a conduit to his father-in-law, President Donald Trump, and open to the idea of doing something to help the 800,000 Dreamers brought illegally to the United States as children. But Trump may have stumbled upon a realization this week: If the Republican Party is now a cult of personality, and his base is going to like him whatever he does because of who he is, the most plausible path to increased popularity is doing substantive things that Democrats want. The cuckoo cries out in pain, trusting the warblers will imagine this makes even the blackest suppository some kind of white pill. Trump, like other White misleaders, is no bird brain. He is where he is because he sided with the jews.